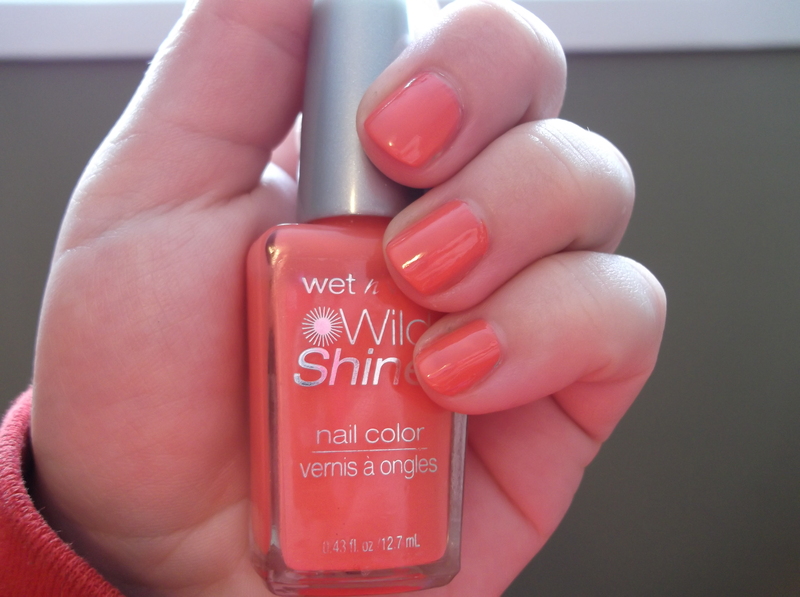 My mani for today is Wet n’ Wild Wild Shine – Blazed. I love this color but my god it is hard to take a picture of. It is a true coral. It’s pink with a orange tone and it would come up one or the other. I think this is the closest I’m going to get it. I really like WnW Wild Shine polishes. They are fast drying, lots of fun colors and cheap as dirt. I’m closing again tonight at work, lets hope it will be better then last night. One of my staff went on break and didn’t come back. Not impressed.